Google allows up to 25 characters in an AdWords title. Over time, we have seen maybe 26 characters or maybe 27, but I have never really seen over 30, that is, until this weekend. 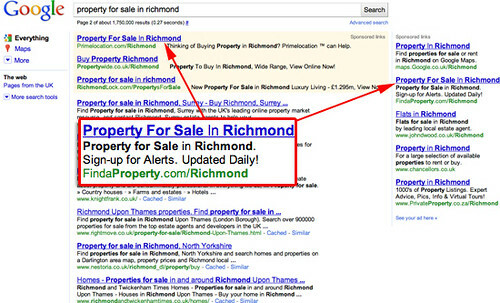 A search for property for sale in richmond returns some ads that have really long titles. Here is one that has a 31 character title length. Yes, that is 6 characters over the 25 character limit requirement.